Instagram is a network designed for youngsters – its main auditorium are users aged 18-29, and more than half of them check for updates at least once a day. Remember with the opportunity to communicate with subscribers on the go – and here you get an ideal platform for business among all social media in the era of smartphones. Instagram is called one of the most handy networks for business purposes. The audience of the network is active: if the photos are interesting and beautiful, the involvement of subscribers amazes. It is used by brands of retail and commercial real estate, as well as by auto and cosmetics manufacturers for marketing purposes. Business has the opportunity to tell visual stories that look sincere and unobtrusive. According to some studies a percentage of involvement of the audience on Instagram is 58 times higher than on Facebook and 120 times higher than on Twitter. There is always a temptation to drop as many posts as possible, in order to make sure your product is remembered. There is a thin line between a nice activity and a mere spam, and it separates popular accounts from uninhabited accounts. 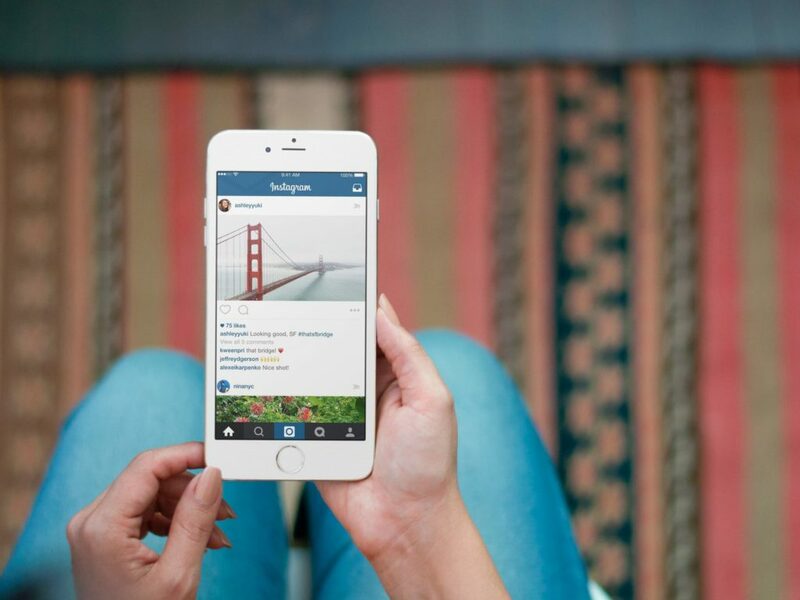 Here is why we’ve decided to present you an ultimate Instagram business guide. The name of the account largely decides its fate. If brand name is already taken, select some association related to the business. For example, a cosmetics store must have a name giving corresponding associations to the subscriber. The more hashtags - the more audience you get, but with each new hashtag, which is far from being relevant, the quality of your post drops. Do not hesitate to use a few hashtags, but don’t use over popular topics just for involving more audience. Track comments and react if it’s appropriate and makes sense. You strive to having a dialogue in a long run, isn’t it? In addition, comments also contain reviews and complaints. Instagram is a network associated with private accounts and sharing the scenes of private life or manufacturing process. Why not? Publish photos from company, get subscribers acquainted with your stuff. A corporate meeting, training or even a workflow can become a nice click to share with your subscribers. Do not load the daily portion of the photo at once - the probability that all the posts are scrolling is growing. An unspoken rule is: 1 photo per hour (on how to set up postponed posting read on). Short video will add more dynamics and will allow to not only see, but to also hear your message. The best time to post a video is evening and night (probably this is due to the fact that watching the video at work is not very appropriate). There are a lot more nuances for promoting your business on Instagram, and Leogram is a platform to help you understand how it works and to promote your account in a safe ecologic way. Trust professionals and keep on reading our articles in order to learn more about tricks for your business on Instagram.